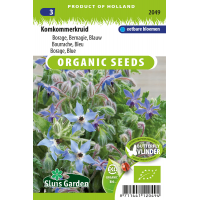 Star-shaped flowers with intense blue colour. 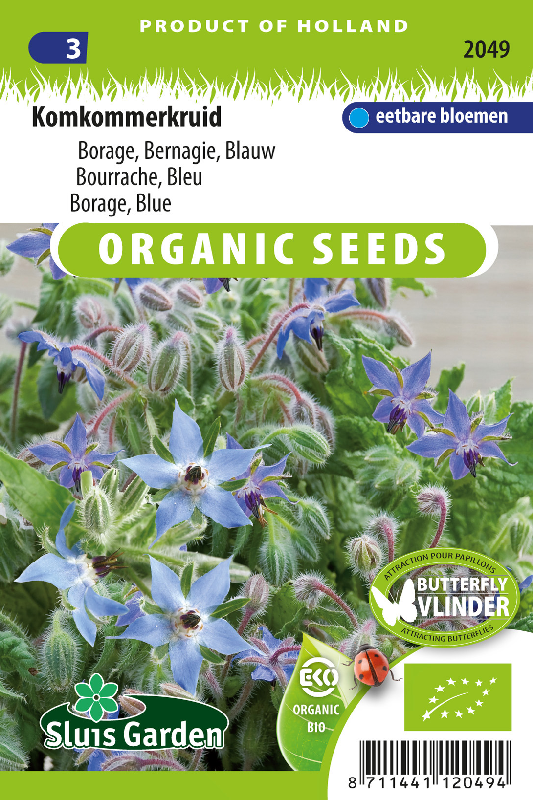 The long flowering season makes Borage one of the best plants for the garden. Bees are frequent visitors to the flowers. The leaves have a mild cucumber flavour. Only harvest the young leaves for use in your dishes (for example salads). The flowers, too, are good for garnishing and are edible. Sow in rows in a sunny, sheltered spot in the garden. Thin out later if necessary. Stimulates the growth of strawberry fruits.